At ASF we believe in flexibility, creativity and customer satisfaction. With this in mind we have a range of other products that offer bespoke or off the shelf solutions. Using our wide skill-base in engineering, ASF can manufacture bespoke shelters for a variety of uses. Whether for cycle storage, smoking areas, sports shelters or simply meeting areas we are happy design and manufacture a shelter to suit our customers needs. 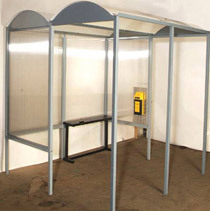 ASF also has a range of shelters that are available off the shelf. These are supplied flat packed and offer quality solutions when timescale and budget are important factors. 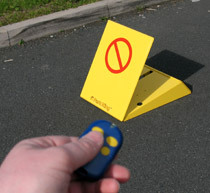 Parking Reservation and Parking Security are becoming more important in today's busy world. 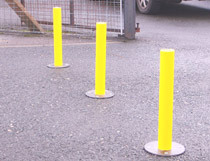 Our miniature telescopic bollard and triangular bollard mean that not only can you reserve your space when not using it, but you also have the added security of a visible barrier when parked. Excellent value, slick design and easy installation make these products an excellent option for both domestic and commercial uses. 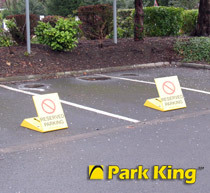 Park King is an Automatic barrier that simply bolts down, requires no wiring, is operated by remote control and powered by a rechargeable battery. 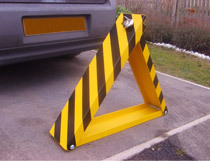 A highly visible and very versatile product for parking reservation.